Performance Ready Base Layer. 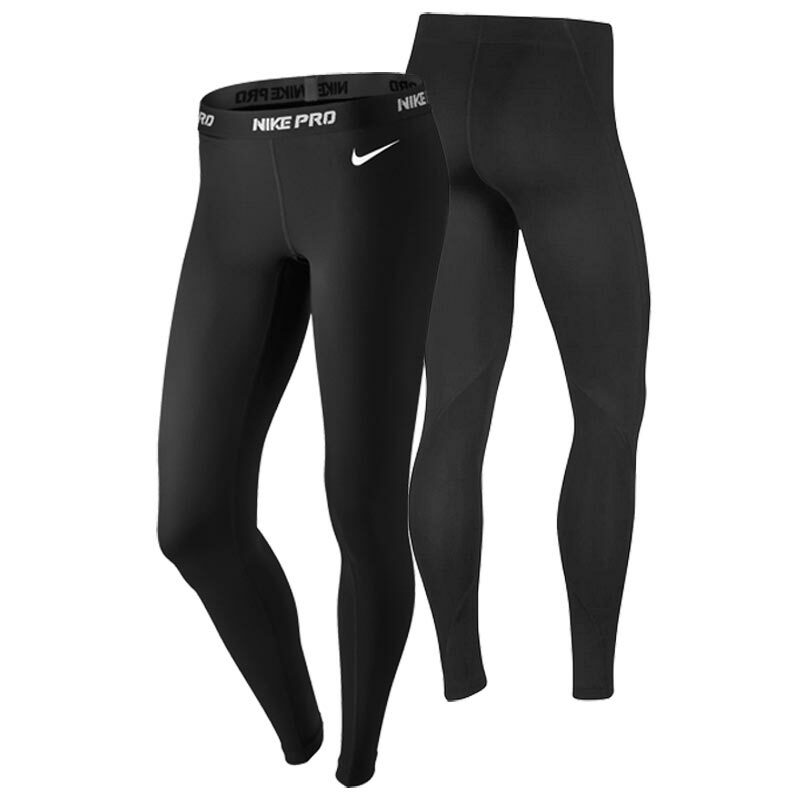 Women's Nike ® Pro Tights are the ideal companion for high-intensity training and competition. The body-hugging fit and innovative cooling fabric deliver performance and comfort without distractions. Very smooth tights, a good fit, not too thick and very comfortable to wear. I use under a netball dress and they don't feel as bulky as other makes have done. Would definately recommend. I love these running tights. I have tried so many different tights & these fit perfectly, very flattering too. Tempted to order more pairs as I love them so much. They sit on the waist & I never need to pull them up like some other pairs I have. The only negative is the Nike Pro wording on the outside of the leggings which is sadly peeling off. I wish Nike would copy the label on the inside of the tights that is done is a material so cant peel off. I am a size 8-10 so size S fits like a glove.